First line: Agent Elliot Matthews stared down a firing squad. Kristy Cambron is a new-to-me author, but from the reviews I've seen, she's got a devoted fan base. This wasn't a read for me, but I can appreciate why so many love her books. Set in the high-flying 1920s in Boston, this novel follows illusionist Wren Lockhart (born Jennifer Charles). At the book's open, a spiritualist debunked by Harry Houdini seems to bring a man back from the dead -- who then promptly dies again -- and the FBI think it's murder. As Houdini's former assistant, Wren comes to the attention of the two agents -- especially when a piece of paper with her real name is found on the dead man. From there, the novel moves through multiple mysteries, like solving the murder, as well as Wren's mysterious background, including the sister she staunchly tries to protect. Cambron does a great job evoking the details of the era, from Wren's distinctive style of dress (men's tuxedos) to the trappings of Jazz Age Boston such as the sumptuous brownstones and dingy failing theaters. 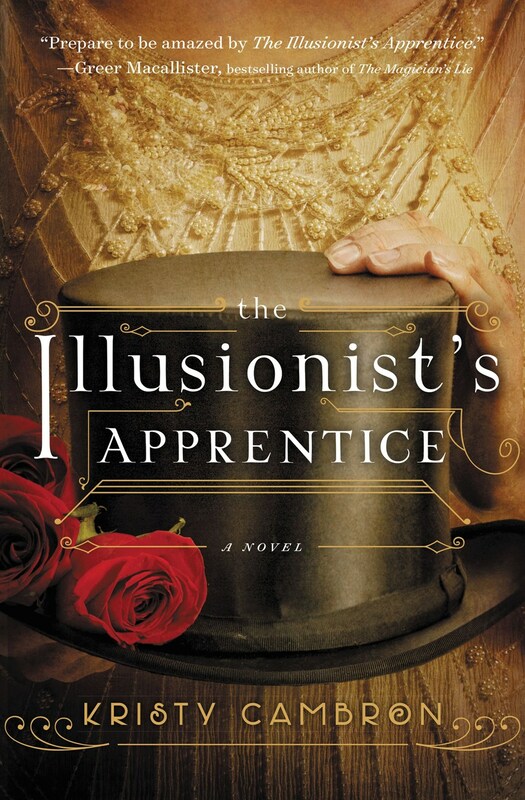 I enjoyed the detailed look at the illusionists and their trade, although as this is a Thomas Nelson offering, there's a whiff of religiosity to that thread, which manifested as a strong delineation between illusion and magic/spiritualism (with the latter being 'dark' and wrong, etc.). It wasn't so overt as to ruin my enjoyment of the story, however, and I actually found myself wishing Wren would have spoken more about how her faith impacted her decision to debunk spiritualism -- I think it would have made the story -- and her character -- more rich and nuanced. The narrative style was a bit clunky at times, too (As muscles go, Wren's took on a life of their own, tensing in reaction., p141) which kept this from being a favorite. There's a great Author's Note at the end about Houdini and the inspiration behind Wren's character. A quick read -- Jazz Age, murder mystery, and a sweet romance, with a very wintry atmosphere -- this book was great for this equally slushy and cold weekend here in Boston. I'm thrilled to offer a copy of The Illusionist's Apprentice to one lucky reader. To enter, fill out this brief form. Open to US/Canadian readers; ends 4/14. Complete rules here. I'm glad you addressed the spiritual aspect of it because I'm hesitant to pick up books that might be religious. Yeah, preachy books are a big turn off for me, although I don't mind exploration of religion in novels as long as it's part of the character/plot. In this case, it was easy to ignore but actually felt like a missed opportunity for character development! Your review of this one is the first I've heard of it. I love the premise (and the cover). Your review leaves me doubtful though. I will have to think on this one, I think, before deciding if it's for me. I tried to find an excerpt to share, but the link on the author's site didn't work. Maybe Amazon will have some -- I think that's the best way to tell if the story will work for you or not. Many, many other folks on GR looooooved this one. I do sometimes like to look at the first chapter via Amazon. So I might give that a try. It's saved me a few times from getting books that sound good and yet I couldn't stand the writing. I read a book by Cambron in 2014 (The Butterfly and the Violin) and was underwhelmed, I'm afraid. I think I agree with your assessment of her slightly heavy-handed narrative. Never bothered to read any of her other books because of it. Although your comment about characterization not being the best, this sounds right up my alley. I might indeed try it out.